When you think of the hallmarks of summer style (or really, classic style in general), there are certain items that jump right out. Khaki shorts or chinos. The classic polo. A nice Oxford shirt. And yes, the classic white sneaker. They’ve had their ups and downs, but the white sneakers of today belong in the style hall of fame. They deserve a place in the modern-day style lexicon, just as much as dark denim or sturdy leather chukka boots. Much like the slim leather loafer, stylish white sneakers can be mixed and matched every which way, especially in today’s #menswear world. The high-low nature of style is more apparent than ever. Athleisure continues to dominate runways. Designers like Todd Snyder are teaming up with sneaker brands like P.F. Flyers. This is all very good news for menswear fans. 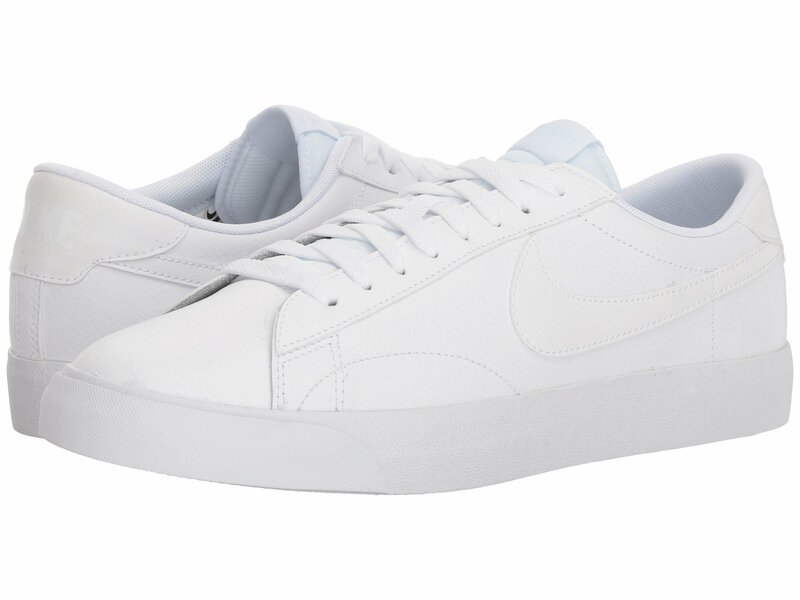 White sneakers are a widely accepted substitute for nearly any kind of footwear – yes, even leather dress shoes – so tons of brands are doing them better than ever before. Starting at the top of the heap, it’s impossible to look away from perhaps the O.G. 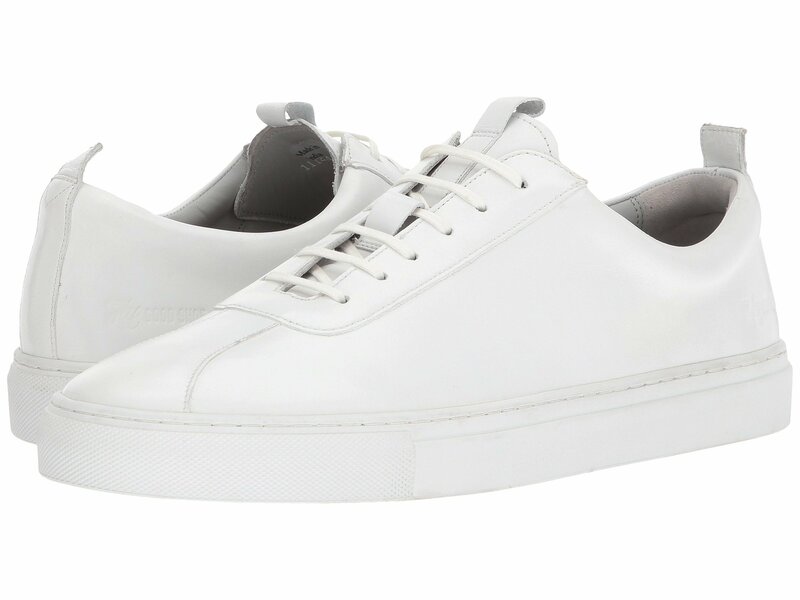 of the modern-day premium white sneaker, the Common Projects Achilles. Retailers that tend toward dressy style staples – like J. Crew – are doing unique, yet classed-up iterations of the white sneaker. And it’s tough to leave out classic sneaker purveyors like SeaVees. But for style that’s exceptionally versatile and ready to be rocked with either a suit or shorts and a tee, we’re going with an option that’s tough to top – the GREATS Royale Blanco. GREATS burst onto the scene a few years ago thanks to a mix of affordability and premium quality, and its Italian leather sneakers are a shining example of that. 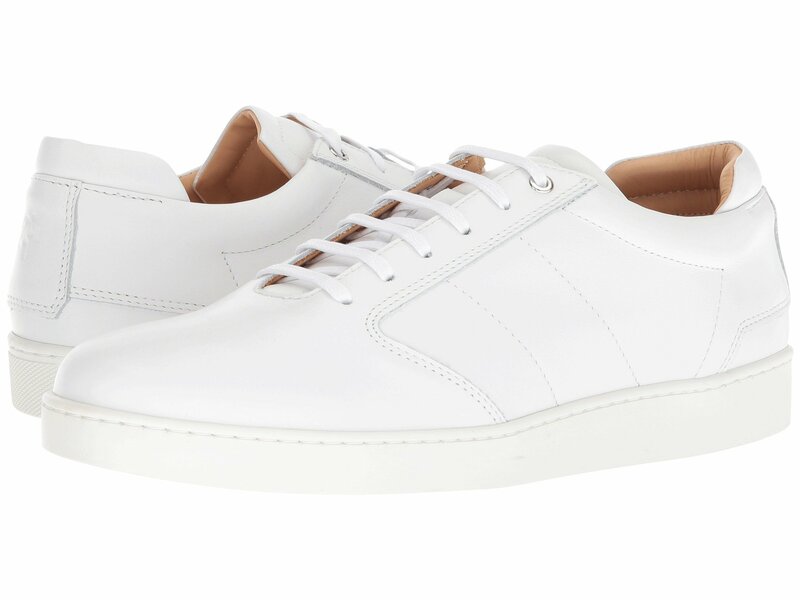 If ever there were an affordable answer to the much-coveted Common Projects, these might just be the pair to grab. But with sneakers so nice, how does one take care of them? Fear not. We’ve got it covered. Buying white sneakers should follow along the same lines as buying any other pair of shoes, be it stylish spring sneakers or durable suede chukka boots. Look for a pair that leaves you enough room for socks – from no-shows to slightly thicker cotton socks – but not so much room that your foot slides around. Got all that down so far? Well-done. Now, with the potential for crafting so many sharp, everyday outfits around one pair of footwear, care is of paramount importance. White sneakers are going to, by their very nature, show more wear and tear than even grey sneakers might. Following every use, wipe them down with some handy sneaker wipes. Pay attention to the heel and toe areas – they’re prone to picking up dirt. You may also want to pick up leather shoe cleaner. For the leather itself, you should have saddle soap on hand – specifically the kind formulated for white leather. If you have canvas sneakers, simple soap and water can take care of them in much the same way. In a rotation of footwear (and with regular cleaning) they should definitely hold up to their purchase price – and then some. So, are your sneakers all spiffed up and ready go to? Just begging to be worn? Good. We’ve got five ultra-stylish outfits for your consideration below. 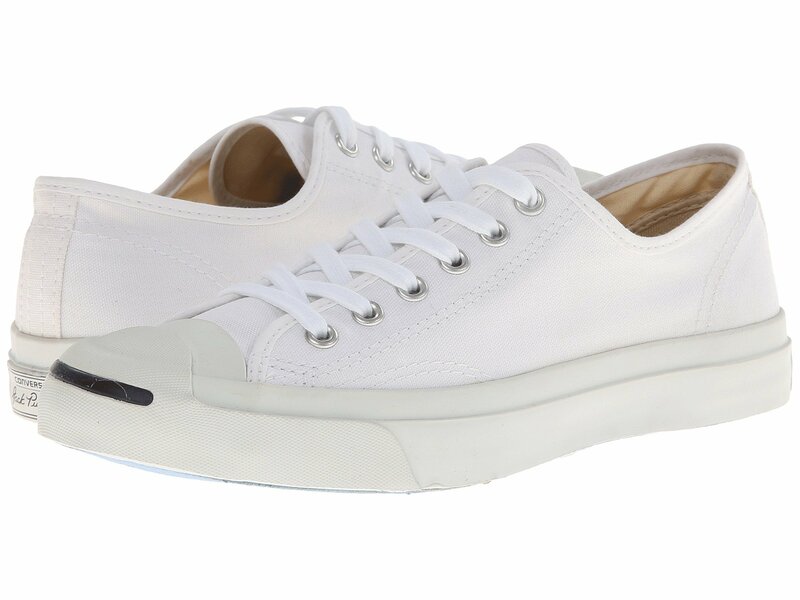 In keeping with the summer season, white sneakers are best suited to stepping out casually. Start with a slim, colorful tee that incorporates some stripes – they’re a fun, nautical way to switch things up from a plain tee. Add on top of that some light wash denim. The blue in the tee contrasts with the light wash denim, giving the combo a touch of retro vibe. Mix those staples with durable pieces that can keep going – like a tough brown leather watch and a handcrafted, rugged brown leather belt. Now you’ve got an ensemble that wouldn’t look out of place if you paired it with a classic navy blazer. Lastly, no-show socks that are breathable, dependable, and won’t slip are the only way to finish off this outfit. You know white sneakers can easily work when paired up with a casual tee and slim light wash denim. But they can’t work anywhere else … right? Wrong… at least when paired up the right way. Dependable style essentials, like a slim grey cashmere crewneck sweater and crisp olive chinos (made in America by the fine folks at Buck Mason), are given new life by those bright white leather sneakers. In this case the classic kicks are a welcome variation on leather wingtips. An indigo denim shirt that fits trim and incorporates subtle texture and pattern offsets the lighter blue chambray suit jacket perfectly. The tan pocket square adds a rich, earthy tone. Rest assured, the casual color and construction of that jacket makes it just fine to rock on its own. And it comes with matching pants (more on that in the last outfit). Crucially, the chambray textures in the top half of the outfit play off each other perfectly while pushing this outfit into casual territory. There a lot of layers here for a summer outfit – think of this get-up (complete with a durable Timex x Red Wing leather watch) as a late spring or early fall go-to. With all those moving parts, this look is ready for a date (ditch the jacket) or an important meeting (add a knit tie). 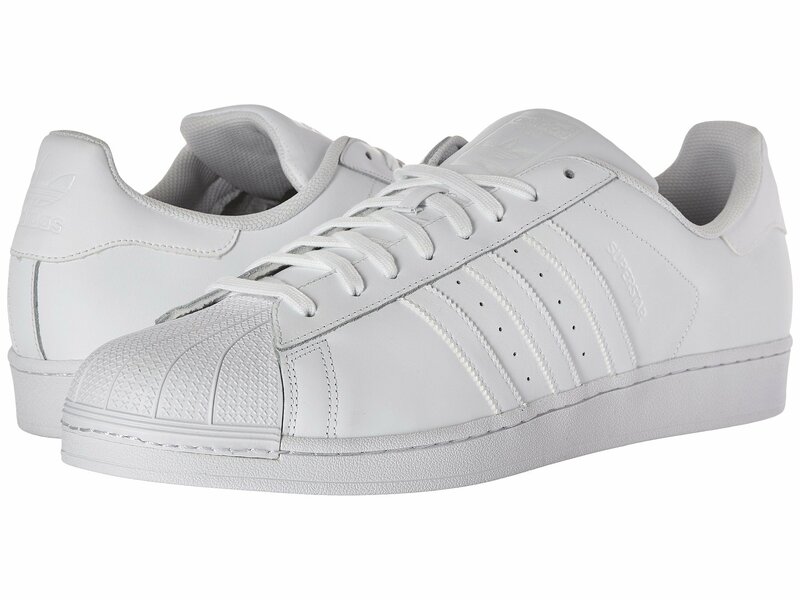 There’s no better place to rock these crisp white leather sneakers than in a situation that’s a bit unexpected – like taking in a ballgame or an outdoor sporting event this summer. A pair like the GREATS Royale is going to look sharp and set you apart from legions of other athletic sneaker-wearing fellas at the game. The head-turning style of these sneakers is further accentuated by other unexpected style upgrades, like cotton-linen blend shorts that hit above the knee and ditch the belt loops for a clean look. Pair that with a sporty, vintage graphic tee from Todd Snyder’s Tailgate Clothing (again, a massive style upgrade from the jerseys sported by everyone else), and you’re ready for warm weather. If it’s a chilly one, a simple-yet-smart grey jacket is the perfect top layer given the colors of the rest of the ensemble. Seeing as great style is all in the details, a tough military-inspired watch and a vintage ballcap serve a dual purpose. The hat keeps the sun out of your eyes, while the watch can take a beating in case you need to snag a foul ball or two. All in the spirit of fun and games, of course. 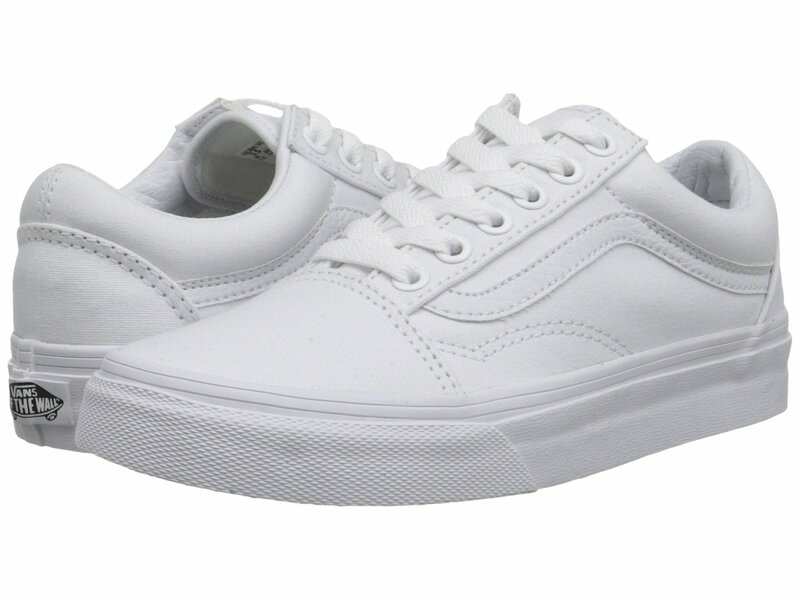 Another terrific thing about a clean, sharp pair of white sneakers kept in good condition: they can be worn multiple times in one week with very different outfits. Take this combination. It’s a simple, sharp get-up that emphasizes classic pieces — like a breathable white polo and slim chinos – and mixes them together with a lightweight jacket that’s part-blazer, part-raincoat. It’s a look that works whether you’re dashing out for Sunday brunch or preparing for a full day of meetings. Think comfortable, functional, and stylish – those are qualities you certainly don’t get if you wear leather wingtips (as sharp as they might look). Added touches of color – like a printed webbed belt – complement the outfit nicely. The crisp stainless steel mesh watch is subtle yet refined. Last but not least – a super-sharp, suited get-up. Skeptical of this style move? It’s true, there are wrong ways to wear sneakers with a suit. But a classic, clean pair of white leather sneakers definitely doesn’t qualify as a wrong way. The crucial part of this outfit is the fit of the supporting pieces. Your white chambray shirt, although relatively casual in texture, should fit slim and tailored (luckily, that’s what Taylor Stitch does well). And your chambray suit should be just as lean and tailored to your body type. The revamped Canvas by Lands’ End line nails those qualities, and it makes the chambray jacket twice as wearable (see outfit #2 again for reference, ehh?). A classic supporting accessory like a white pocket square with a hint of color is offset nicely by a stunner of a watch in its own right. If you don’t know Shinola, get educated with this site’s “In The Know” series. One more tip to make this outfit super-sleek – pony up a bit extra to get your belt loops removed by a great tailor. It’s a clean, modern way to finish off this casual, warm-weather suit. The notion of pairing a more casual pair of footwear with a sharp, dressy combo can be intimidating at first. And even if you normally like to rock something like a suede or leather chukka in place of sneakers, it can still be tough to put away more traditional footwear. But the summer season is the time and place to try out all manner of looks. It starts with more casual pieces like a striped tee and denim – an easy first step as long as you nail the fit of your T-shirt and grab some slim denim. From there, you can work in more crisp pieces like a slim polo, classic khaki chinos, and a navy blazer-jacket. Once you’ve cleared those hurdles, it’s easy to use white sneakers where others grab more casual pieces. Wear them – instead of Nikes – with an upgraded graphic tee and slim shorts. After you’ve mastered all that, rocking them with a casual suit is just another step toward eye-catching style (in the best way, though). How do you style your white sneakers? Do you like the looks above? What might you add or subtract?